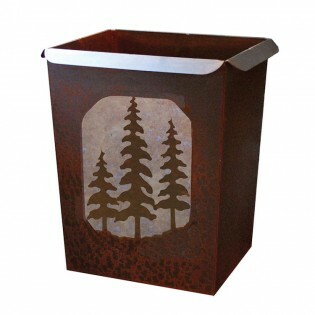 The Pine Tree Waste Basket will give your bathroom a forest inspired appeal. Each piece features a handcrafted finish which may include some dings and scratches. This is left to provide a rustic character. The patina process takes place outdoors, which allows for variations in color as noted below. 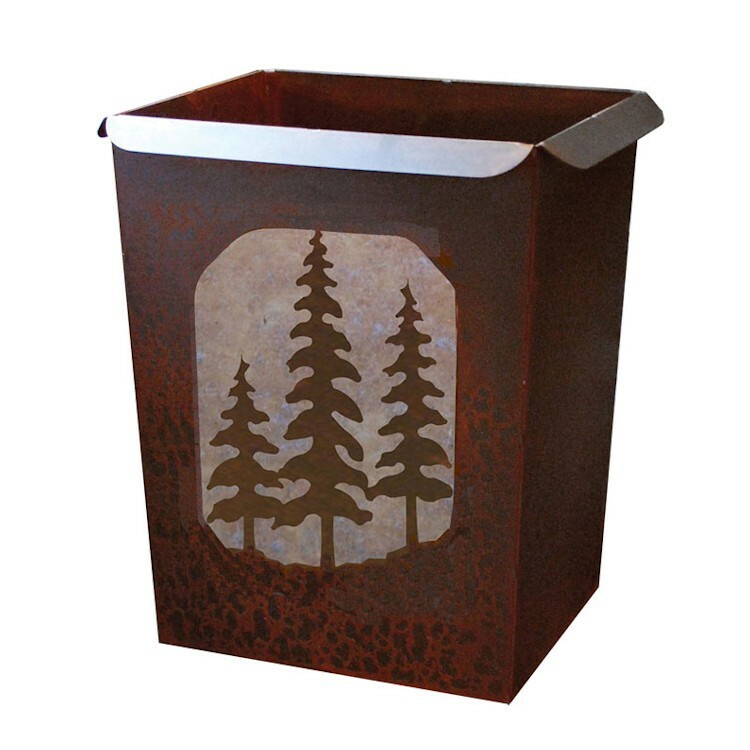 Rust Patina - has a variation of color anywhere from dark rust brown to a small amount of orange rust coloring.